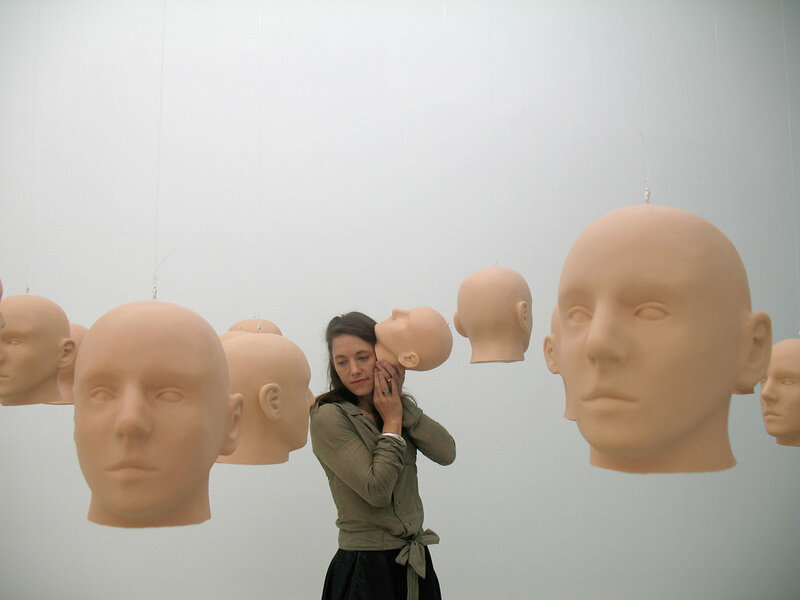 Noise in my Head is an installation with hanging silicon rubber heads. 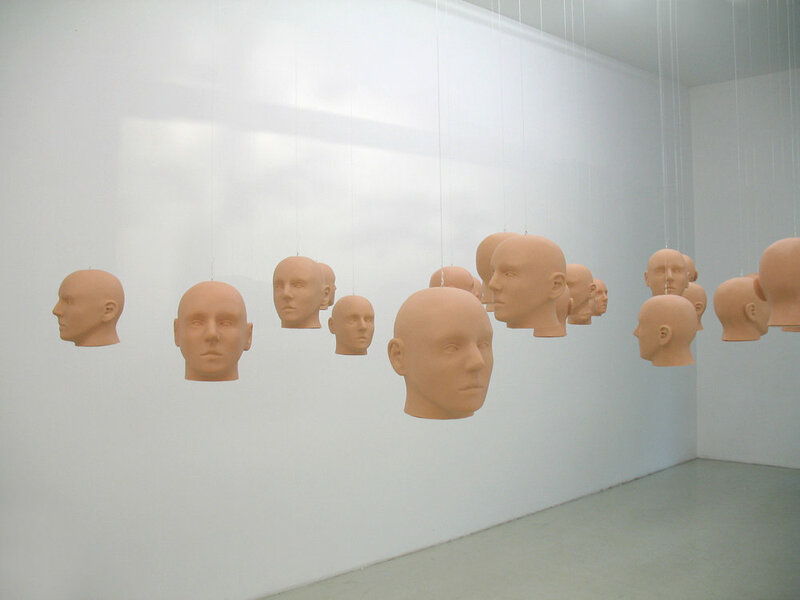 Each head emits a recorded monologue by different people. For these recordings I asked people to sit alone in a room for an hour and record themselves talking about whatever came to their minds. Our thoughts are the biggest controlling force in our lives. Many of us spend a lot of time judging and interpreting all experiences in hope to find meaning in our existence. Jumping from one explanation of why things happen the way they do to the next, we find ourselves caught in a big spider web of stories and in this way it can happen that we become completely alienated from the actual event of the experience. Thought, the countless chattering voices in our heads, seems such a central force in our experience of life, that we tend to completely identify with it and forget to second guess its origin and validity. Silicone rubber, MP3 players, speakers. The entire installation occupies approx. 100sq. ft.
35 Silicone rubber cast heads, Mp3 players, speakers. Our thoughts are the biggest controlling force in our lives, trying to interpret all our experiences or to controlling the perception other people are having of us. For this 35 talking rubber head installation, I asked some people to sit for 30 minutes to an hour alone in a room while verbalizing and recording all thoughts, that wander through their heads. Then I placed one recording into each head. A noisy situation comes into existence all heads talk at the same time, mirroring the static noise we all carry in our heads. This interview which was organized by ZDF (one of Germany’s main television stations) took place at Antje Wachs Gallery where Noise in my Head was installed. This interview is in German.